Rosario Dawson boards the highly-anticipated Zombieland sequel, with the original stars and director returning. Rosario Dawson narrates direct Alex Winter's latest tech documentary Trust Machine: The Story of Blockchain. Marvel's Daredevil star Rosario Dawson has signed on to voice Batgirl in Warner Bros.' LEGO Batman Movie, alongside Will Arnett as Batman. Rosario Dawson says The Punisher joining Daredevil will raise the stakes for Marvel's Netflix series in Season 2. Daredevil Season 2: Rosario Dawson Returns as Night Nurse! Rosario Dawson has made a deal to appear in future Marvel Netflix series including Jessica Jones and Luke Cage. Gail and John Hartigan are the last Sin City: A Dame to Kill For characters to get their own posters as this sequel gears up for its August release. 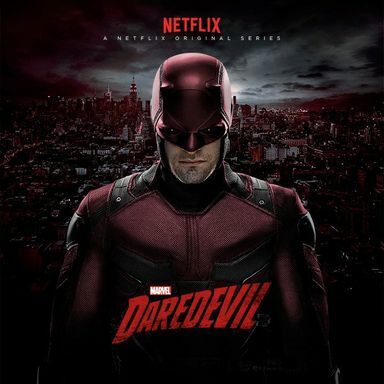 Best known for his work on the series Doctor Who and Luther, director Farren Blackburn is confirmed for at least one episode of the Marvel and Netflix series Daredevil. Rosario Dawson Joins Daredevil Netflix Series; Is She Elektra? Actress Rosario Dawson will play a woman dedicated to bringing justice to Hell's Kitchen in Marvel's Daredevil TV series, starring alongside Charlie Cox as Matt Murdock. Things are about to get nasty in this follow-up to Robert Rodriguez and Frank Miller's 2005 Sin City. Roadside Attractions picks up this drama from director Ronald Krauss, which shows the actress in a transformative dramatic role. Danny Boyle directs this new drama about a complex art heist gone bad, which stars James McAvoy. Kevin James, Rosario Dawson, and Leslie Bibb discuss this summer's wildest comedy!